The Bay of Islands has long been a popular destination for both residents and tourists because of its natural attractions and historic sites. The beautiful and scenic towns of York Harbour and Lark Harbour is definitely home to breathtaking scenery and offers some of the most scenic hiking trails in the Bay of Islands. 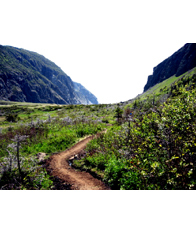 Our trail network connects to places such as the Captain Cook Monument at Lark Harbour, the beautiful remote beach at Cedar Cove, the scenic coastline and sea caves around Bottle Cove, and the hiking adventures of the Blow Me Down Mountains, the Copper Mine to Cape Trail. 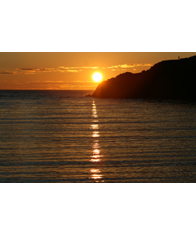 Explore the Outer Bay of Islands and treat yourself to some great geocaching sites, amazing photo opportunities and panoramic views of the Gulf of St. Lawrence and the Bay of Islands. 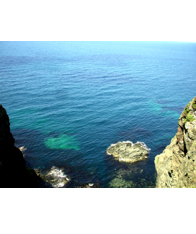 The Cedar Cove Hiking Trail is a 1.8 km hike that will appeal to a wide range of hikers. Rated Easy to Moderate, the trail begins at Little Port and ends at the remote beach in Cedar Cove. One of our more challenging hiking trails in the Outer Bay of Islands. Rated Difficult, the Little Port Head Lighthouse 3 km trail hike into Little Port Head will lead you to up to 250 meters to view some of the most spectacular scenery in Atlantic Canada. Bottle Cove is located near the end Highway 450. 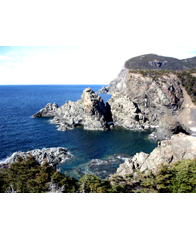 Rated Easy to Moderate, the trails around Bottle Cove are suited for the entire family. 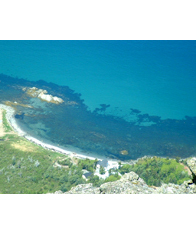 Rated Moderately Difficult, this 3.3 km trail ascends 330 meters into the mountain range behind Lark Harbour. 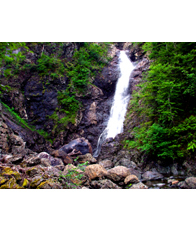 Rated Easy, this 0.5 km hike will lead you to a mystic water fall at the end of the trail. Copper Mine to Falls Trails is suited for all ages. The Copper Mine to Cape Trail ascends 650 meters to the top of the Blow-Me-Down Mountains. 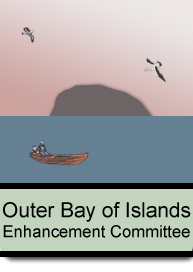 Rated Moderately Difficult, this trail has been created as part of the Outer Bay of Islands Enhancement Committee (OBIEC) Network of Trails. With a large parking area at base, the trail extends 3.8 km into the mountain range showcasing some of the finest views in Western Newfoundland.